Volume I brings together his very influential but scattered papers on the philosophy of the physical sciences, and includes one important unpublished essay on the effect of Newton's scientific achievement. 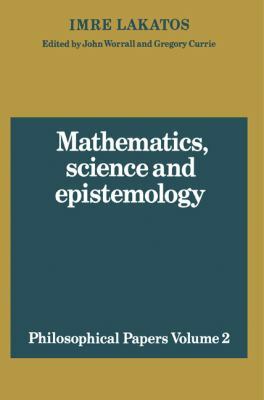 Volume 2 presents his work on the philosophy of mathematics together with some critical essays on contemporary philosophers of science.Lakatos, Imre is the author of 'Mathematics, Science and Epistemology' with ISBN 9780521280303 and ISBN 0521280303. Loading marketplace prices 163 copies from $14.50 How does the rental process work?